Neon Racer is a multi-user Augmented Reality racing game adapting the simple and powerful gameplay of racing games to an Augmented Reality tabletop setting. The game combines an intuitive and tangible interface with quality content. 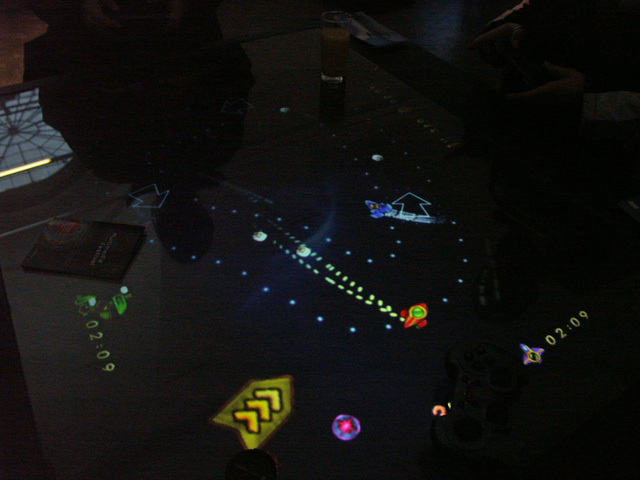 The active setting for the game is provided by the real world. 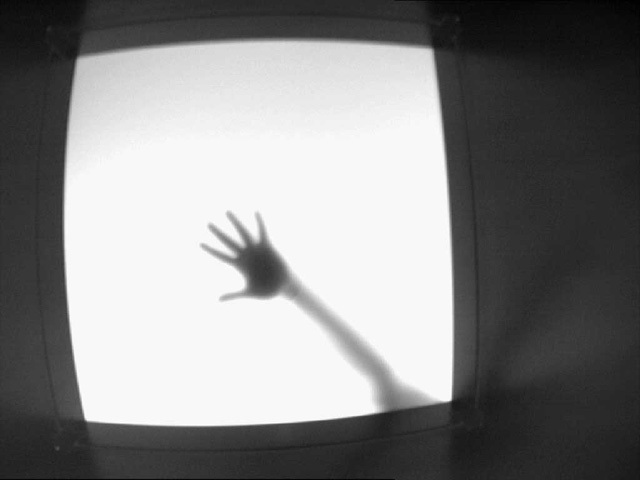 Physical objects act as collision obstacles and influence the course of the race itself. In this paper we describe the architecture of the game and its compact hardware setup. 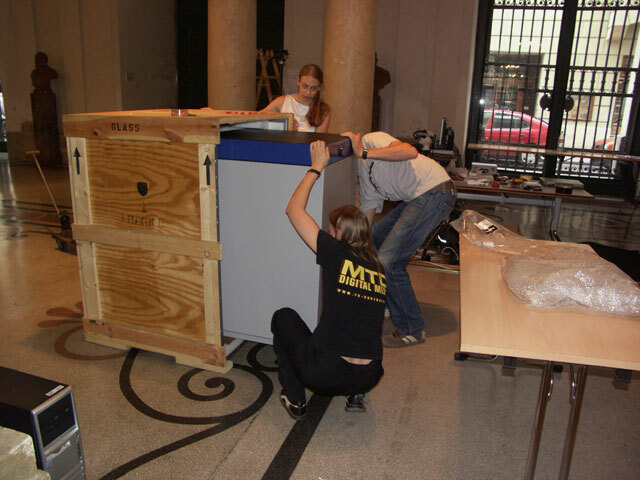 The collision detection with real objects is explained. Furthermore a novel particle system used in Neon Racer is introduced, which is executed fully on the graphics card. 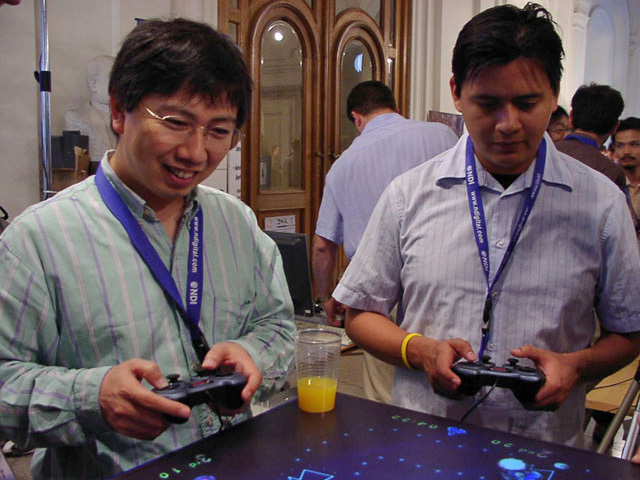 In conventional computer games, users are focused on the screen rather than the real world. This reduces the range of actions and social collaboration. 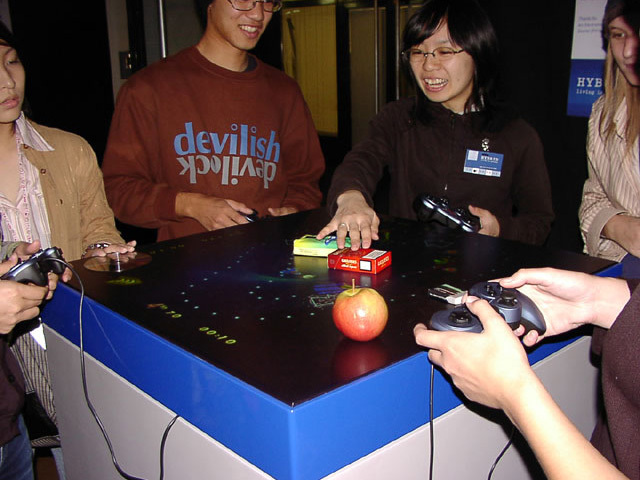 Alternate interfaces, such as cameras and microphones, can change the way we look at classical computer games. These novel approaches can help users get more involved in a game quickly. Using intuitive interfaces is also crucial in bringing users together. For years Augmented Reality (AR) research has redefined the possibilities of creating applications for entertainment. 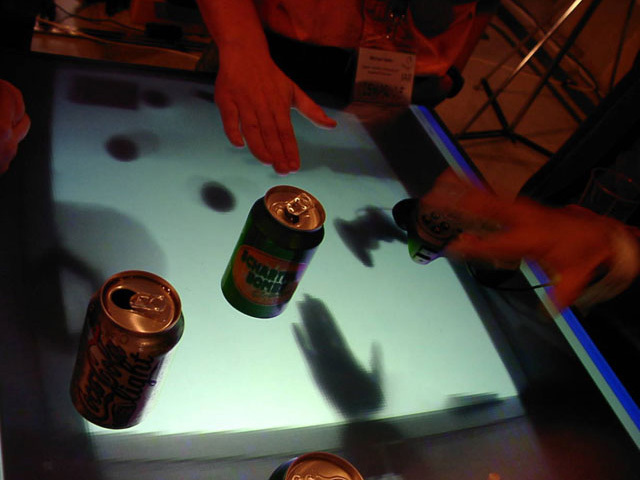 AR applications make it possible to enrich virtual games with the social aspects of traditional board games. 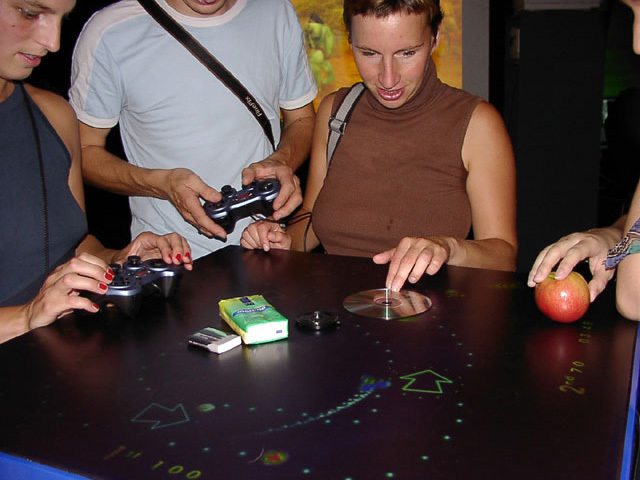 Players can communicate, exchange objects and abide to a common set of rules. 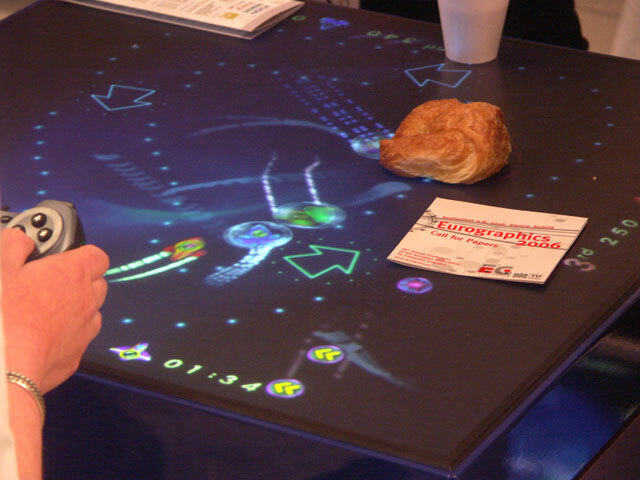 In AR users can share a gaming environment and explore the possibilities of the augmented world together. Games with simple rules, like racing games, are particularly easy to learn and motivating, as long as the rules allow each player to develop his individual style. Players can challenge their own limits while exploring the game world. 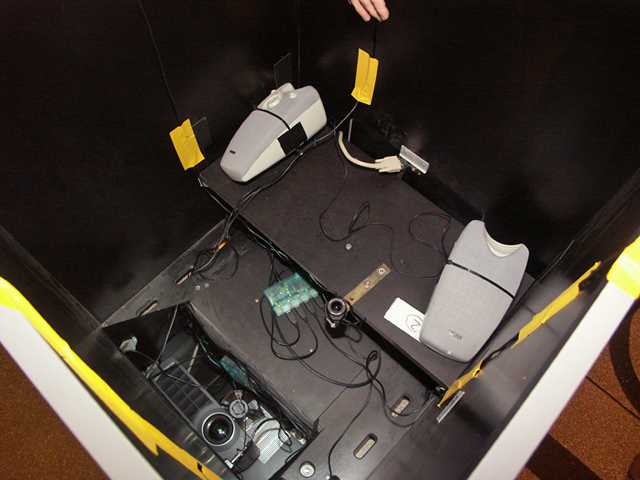 Players can share both a physical and virtual environment in Augmented Reality enhancing the gaming experience. 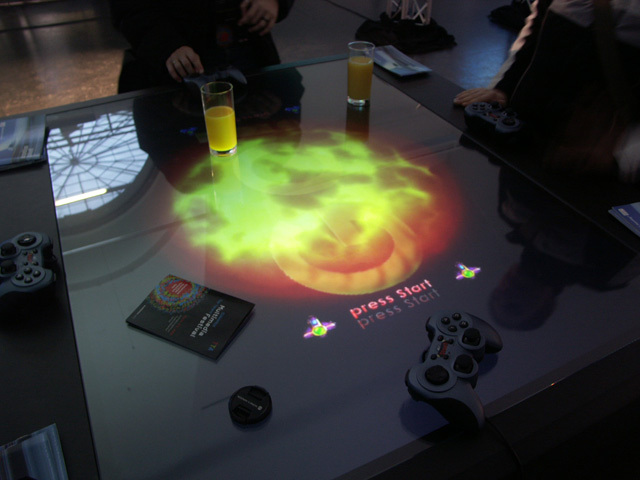 Neon Racer shows a possibility to boost social interaction in an open environment such as conferences, festivals, shopping malls or museums. The inner life of the table. 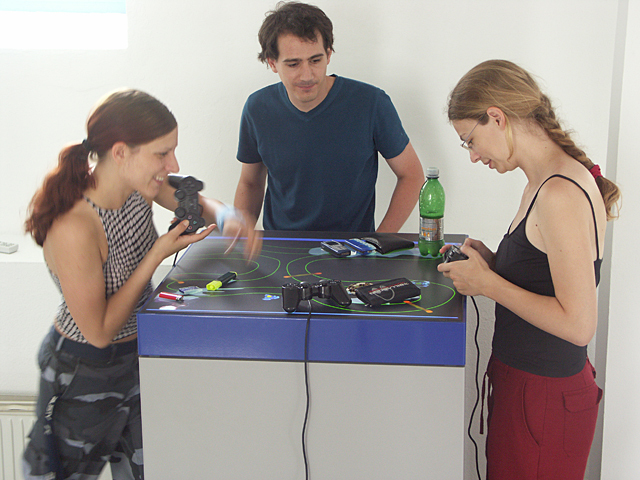 Doris, Wolfgang and Ines are testing Neon Racer. 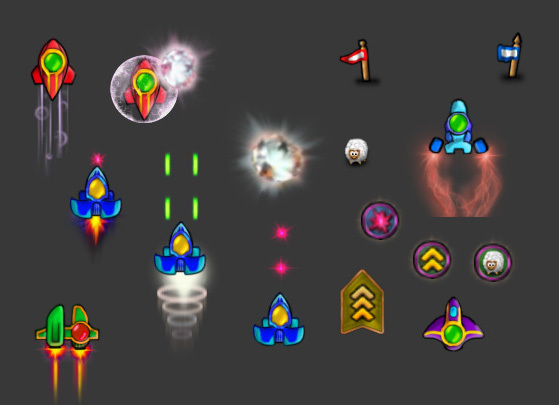 Some graphics used in the game. 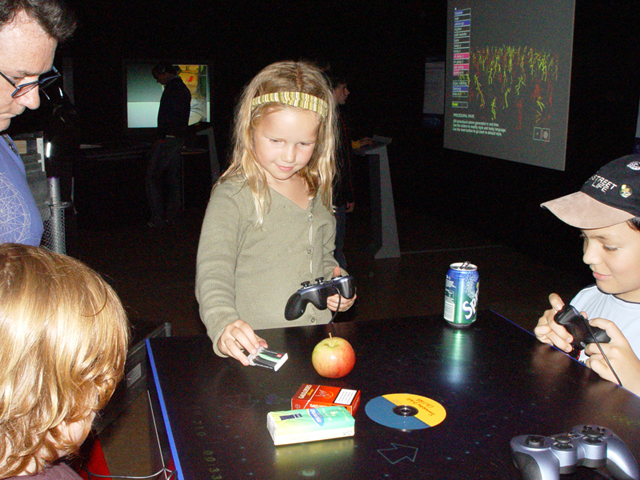 A child moves an obstacle while playing the game. Spectators can also influence the game. Neon Racer boosts social interaction. Professor Kato is playing NeonRacer. 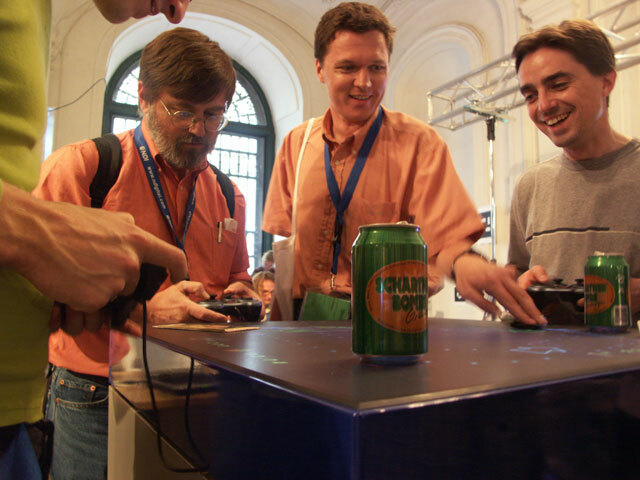 By moving a camera's closing cap, professor Haller tries to stop the players. Even a croissant can act as obstacles. Wolfgang is describing the vehicle's control. 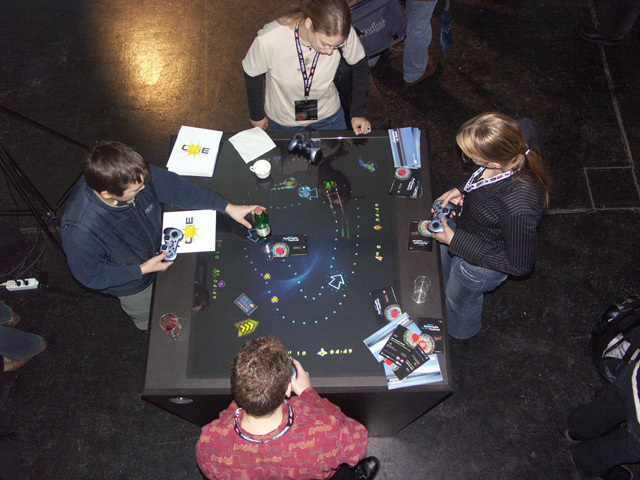 The table seen from above. The ships are moving arround. A great explosion is lighting up the table.